The Royal Scottish National Orchestra didn’t have a monopoly on the classical goings-on in the Concert Hall on Saturday night; upstairs, in the elegant former restaurant space, a trio was performing Bach, Brahms and Vivaldi pieces which it has recorded with orchestras for Sony Classical over the last few years. The Tim Kliphuis Trio doesn’t merely “swing the classics”, however. Kliphuis (violin), Nigel Clark (guitar) and Roy Percy (bass) started out as a superior gypsy jazz group and their renditions of the classics are very much shaped by their roots in the swinging, life-affirming spirit of the music of the great Stephane Grappelli and Django Reinhardt. On Saturday, some of the classical numbers – such as the Allegro in G from Bach’s Brandenburg Concertos – sounded as if they had always been jazz tunes, opening with riffs played in unison by this impeccably in-synch trio, before erupting into solos that spotlighted the breezy virtuosity of the individuals. “Kenneth McKellar?” interjected Percy helpfully. In recent years, gypsy jazz bands with a Hot Club-inspired line-up have become as much a feature of jazz festivals as trad and Dixieland jazz groups and the most exciting ones are those in which the violinist and the lead guitarist are on equal musical footing (the Tim Kliphuis Trio, with Nigel Clark on guitar, springs to mind), or the band is doing something a bit different with the classic gypsy sound (Evan Christopher’s Django a la Creole, for example). Rose Room, the Glasgow-based quartet which boasts violinist extraordinaire Seonaid Aitken as its star, ticks neither of the above boxes on its own – but, on Friday, it brought in special guests to turn what could have been an enjoyable but unremarkable gig into something more becoming of a jazz festival opening night. Saxophonist Konrad Wiszniewski injected a welcome dose of edginess to proceedings which, thanks to the jaunty, cheery tunes and Aitken’s 1930s BBC radio dance band singing style, often sound cosily retro, while the addition of The Capella Quartet to a series of tunes from Rose Room’s regular repertoire put a different spin on the music, and added depth and class. Indeed, The Capella Quartet provided one of the highlights of the evening – a beautiful, unusual arrangement of Moonlight in Vermont which managed to just about block out the thumping, pumping beat emanating from the tent-next-door’s soundcheck. Blues in My Heart – possibly the jolliest blues I’ve ever heard – also stood out because it featured Aitken’s lovely vocals with a funky accompaniment from guitarist Tom Watson, playing chunky chords, and Wiszniewski at his downright raunchiest. You had to feel sorry for Dutch jazz violinist Tim Kliphuis’s trio having to work hard and fast on fingerbusting solos in the sweltering heat of yesterday evening at the Spiegeltent. But right from the off, this impressive band was cooking (in more ways than one), lulling the audience into a false sense of laidback, playful security on an opening Honeysuckle Rose then driving the speed up into top gear and performing most of the old Waller warhorse at an exhaustingly fast pace. What was obvious from the outset was what a tight unit Kliphuis, guitarist Nigel Clark and bassist Roy Percy are. Watching them communicate with eye contact, and – in the case of Kliphuis and Clark – play complicated passages in unison with the breeziest of casual elegance, it was clear that theirs is a relationship where familiarity and spontaneity happily co-exist. Whereas many Hot Club-style bands may boast one top drawer guitarist or a fantastic instrumentalist out front, Kliphuis’s trio has twin virtuosi in the form of him and Clark, as was most perfectly showcased on the stunning Grappelli ballad Souvenir de Villengen, a musical dialogue between the two. Other highlights of their one-set gig were a seductive take on The Nearness of You (which highlighted just how lovely the all-strings sound is, particularly on ballads), a lightning fast Shine and the finale, a whistlestop tour of genres of violin music in which Kliphuis (like the late Grappelli) plays – and another demonstration of his loose, lyrical and swinging style. Guitarists inspired by the gypsy jazz playing of the legendary Django Reinhardt are ten-a-penny but violinists emulating the jaunty, joie-de-vivre-oozing, style of Stephane Grappelli, the other star of the iconic Quintet of the Hot Club of France, are much less common. Dutch virtuoso Tim Kliphuis is a rare example – and one who is bringing a new Grappelli tribute concert to the Edinburgh Jazz Festival next week. 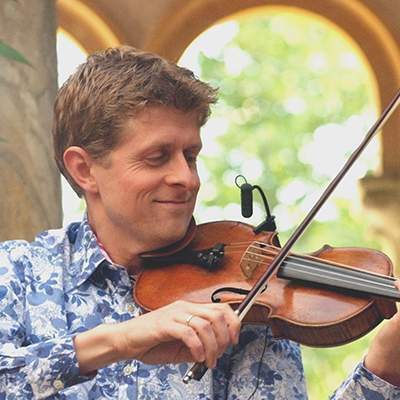 You’d be forgiven for assuming that a Grappelli tribute concert means a concert of music played by Kliphuis – who counts the late French man as his prime violin inspiration, along with Jean-Luc Ponty – in the style of his hero. But, in fact, it’s more than that: the music which Kliphuis’s trio will play will mostly be numbers which Grappelli wrote, and which have seldom been performed, least of all by their composer. We know that Grappelli co-wrote (with Reinhardt) many of the classic Hot Club tunes, but when did this solo composing take place – all the way through his career? “It started in the 1940s, after the Hot Club. During the war years he was in London. His first composition is from 1942 – it’s called Jive Bomber – and there’s another called Piccadilly Stomp from the same year. Those are the first two I’ve found that are kind of suitable for playing by us. The “we” that Kliphuis refers to throughout our chat is his regular trio, the other two thirds of which are Scottish. Since 2006, guitarist Nigel Clark and bassist Roy Percy have worked regularly with Kliphuis, both in the UK and abroad, and the unit is very much a working band – a rare species in this day and age. 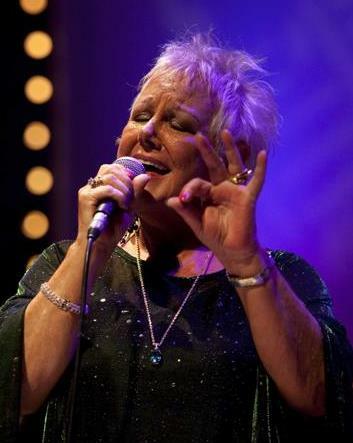 The peerless singer Carol Kidd, whose concert on Wednesday night kicked off the Fruitmarket strand of the Glasgow Jazz Festival, is a woman on a mission; possibly a kamikaze mission – if this week’s concert is anything to go by. Having completely mesmerised the packed Fruitmarket audience with a gorgeous Skylark and a heartfelt Time After Time – and despite saying “I won’t talk; I’ve got so many songs to get through” – she abruptly broke the spell by announcing “I don’t give a monkey’s if you like these songs or not” . Well, that’s one way to alienate your audience; drawing attention to individual members for taking a toilet break is another – which she also deployed early on in the proceedings. Still, once she’d got that out of her system, she (at least) seemed to relax. Despite having a top-notch, though slightly uncomfortable-looking, band onstage with her, only her longtime guitarist Nigel Clark was given much solo space. Indeed, his duets with Kidd were highlights of the evening. On Moon River, a song they have made their own, he dished up a solo of exquisite tenderness, while Songbird and their own original number Tell Me Once Again underlined what a wonderful musical couple they make. Kidd, whose first major gig this was after being treated for breast cancer, may have sounded a bit bruised and the voice may not have soared with the trademark Kidd purity, but she put over those ballads as movingly as ever. Other highlights included an appearance by a Spanish saxophonist friend, introduced simply as Santiago, who stole the show with his gorgeous take on the waltz Emily and singing the Antonio Carlos Jobim part on Corcovado. How Do We Keep the Music Playing? Friday night’s concert at the Perth Festival was a bit of a nostalgia trip – for both Carol Kidd and her near-capacity audience. The singer hadn’t performed in the town for years and was propelled down memory lane by old friends in the audience whose names she called out as if she was taking the school register. Not only that but the concert reunited pianist Brian Kellock and guitarist Nigel Clark who were both in her band in the 1990s – and now tend to be heard with her on an either/or basis. Indeed, their contribution, along with that of bassist Kenny Ellis, was one of the delights of the concert; the combination of piano, guitar and bass producing on many numbers – notably Night and Day – a sultry, balmy sound which was entirely appropriate for a summer’s evening and the perfect setting for the Kidd vocals. The only drawback was that there was an imbalance of sound and Clark’s guitar was not always audible. And as for the star of the evening? Well, it was obvious to Kidd aficionados that she must have been getting over some throat issues as she confined herself more than usual to the lower register of her range. Hopefully, these will be well in the past by Thursday when she duets with Kellock on a Gershwin programme at the Queen’s Hall in Edinburgh.